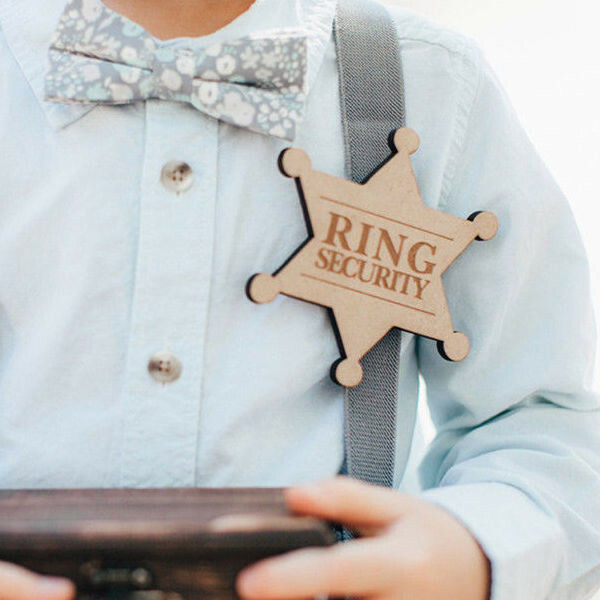 Boys wooden wedding badge engraved with "Ring Security", perfect for rustic style weddings. 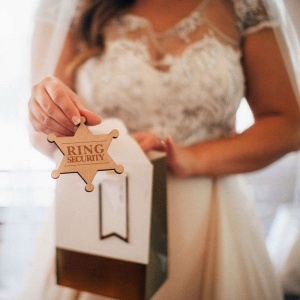 This adorable and unique wedding accessory is perfect for ring bearers to show your guests who is in charge! 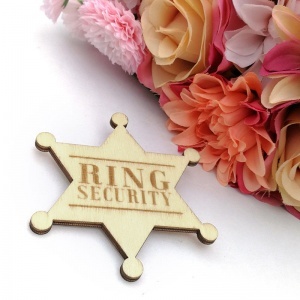 Made with high quality wood, this ring security badge has a safety pin at the back to secure to his clothing.